Please visit www.recyclenow.com & http://www.renfrewshire.gov.uk/ilwwcm/publishing.nsf/Content/Navigation-es-RubbishWasteandRecyclingHomePage . One of the sustainable area that we can rarely think of is ‘Book recycling’. Books either gifted or bought make it very precious but there will be so many books on our shelves that we don not need or we might throw away. Instead of sending those old/unused/nearly new/unwanted books into rubbish bins, there are far better ways of using it again. Finding a new home to your old book by swapping it with a friend. Donating it to a charity, who mostly accept any kind of book in good condition? Children’s books can be donated to local play group/Children’s home. Any unused novels can find its home in local hospitals benefitting elderly patients. Sell them at a second hand book shop/ eBay etc in order to cash on. Some second hand book retailers also provide discount vouchers for the book, which can be used for further purchase. Helps in creating sustainable environment by lessening waste generation. Sharing or donating a good book can give us a sense of feel good factor. One such organization which believes in sustainable recycling is Book Donors, based in Selkirk rural south of Scotland, and is a social enterprise dealing with used books to help people, society and environment. It is a member of Scottish Coalition of Social Enterprises (http://www.scottishsocialenterprise.org.uk/) and Social Firms Scotland(www.socialfirms.org.uk). Book donors are supported by over 60 charities and several not for profit organizations. Helping charities and non profits organization in fundraising through the sale of used books. Supporting literacy and providing employment opportunities for people in need. Creating sustainable environment by practising reduce, reuse and recycle. 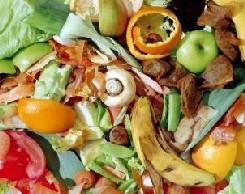 Food waste – needs attention ! Waste is produced by every household on day-to-day basis.One of the most important waste is, food waste.It is estimated that 8.3 million tonnes of food is wasted annually from UK houses,costing each family with children, 650 pounds per year( Information courtesy : www.lovefoodhatewaste.com).Whereas in Scotland, 566000 tonnes of food is thrown away every year,costing every household 430 pounds per year.In addition to this, food waste accounts in severe environmental implications like increase in greenhouse gases because of carbon di oxide(CO2) release. If we manage to stop and control food waste, it will be equivalent in preventing 1.7 million tonnes of CO2 emissions i.e taking off one in four cars of the road,which is brilliant. Avoid over buying of fresh fruit and vegetables. Make a strict shopping list and always but what you need. Practice to use leftovers instead of feeding trash bag. Keeping fridge-freezer clean and in order will help to use all the food items stored. Plan your menu properly so as to avoid wastage.